For those of you who were following the work on the cables during the early days of the LOFAR-Chilbolton installation, you may recall that they went from the aerials and tiles, through the trenches under the ground before eventually surfacing at the RF-container. There, they were patched in to the outside of the RF shielding on a special patch panel (Ref: http://blog.lofar-uk.org/2010/05/all-patched-in.html). On 13th July 2010, the installation picks up where that work left off... on the other side of the patch panels. 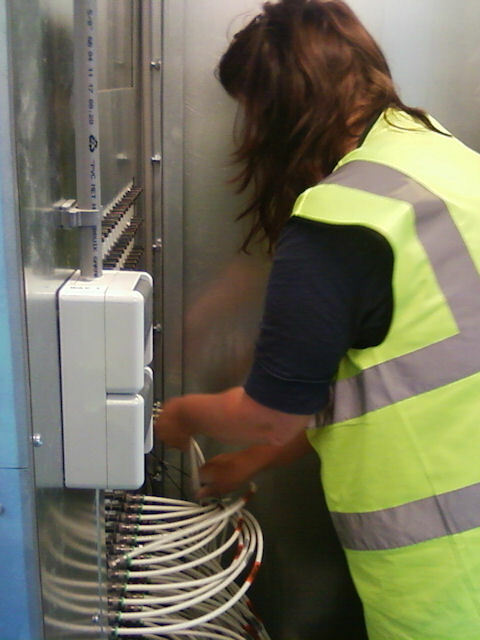 Caption 1 : Ineke Mol (from Excel Assemblies) starts patching in cables for the LBA. 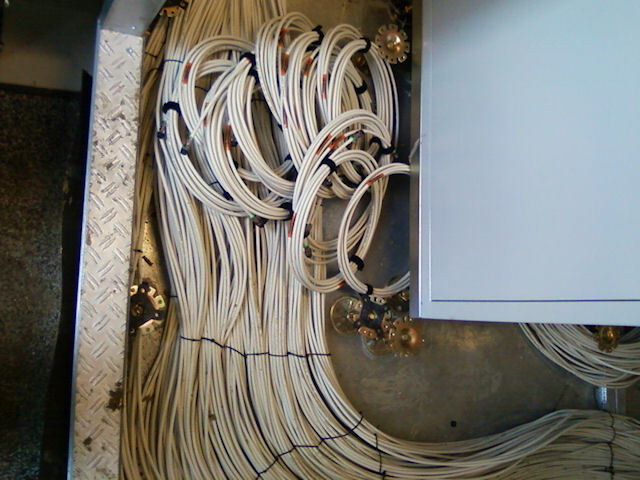 Caption 2 : The LBA cables are now complete. 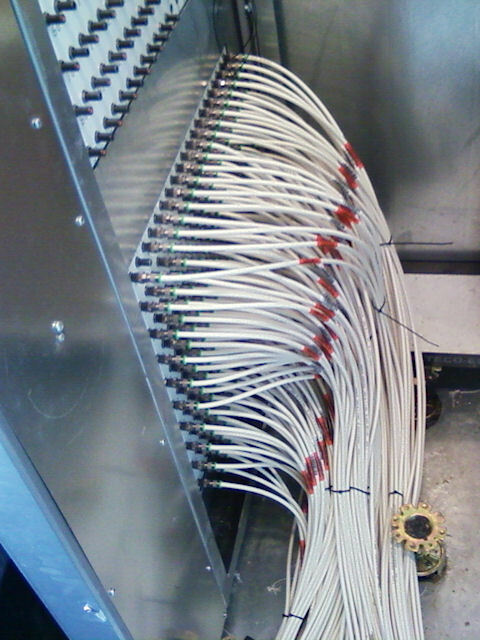 From the inside of the patch panel, the LBA cables snake their way under the false floor over to where they enter the signal processing sub-racks. Caption 3 : Here, you can see some of the LBA cables that are now ready. They are the ones that lead off the top of the photograph. The coiled cables have not yet been fully deployed and are waiting for their installation.